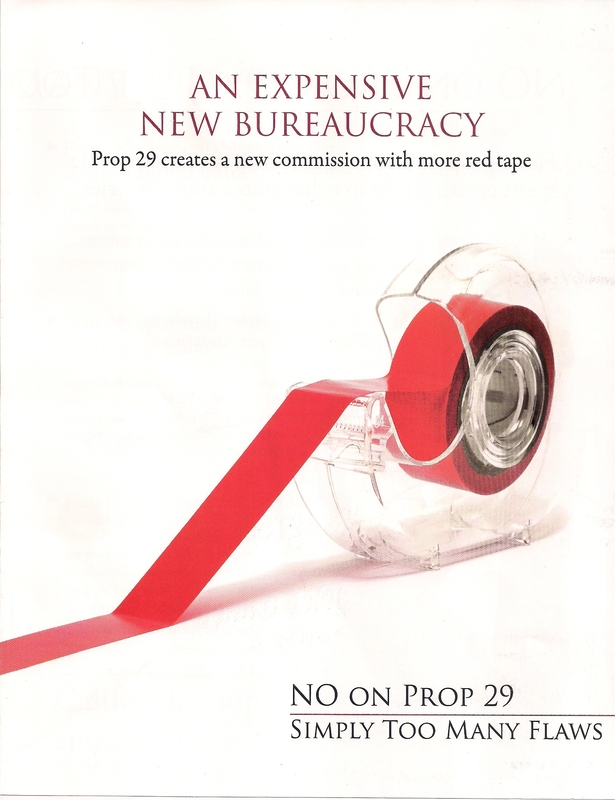 The No on 29 folks are doing a great job of getting their message out to the public. I received my fourth mailer so far this cycle from the campaign. 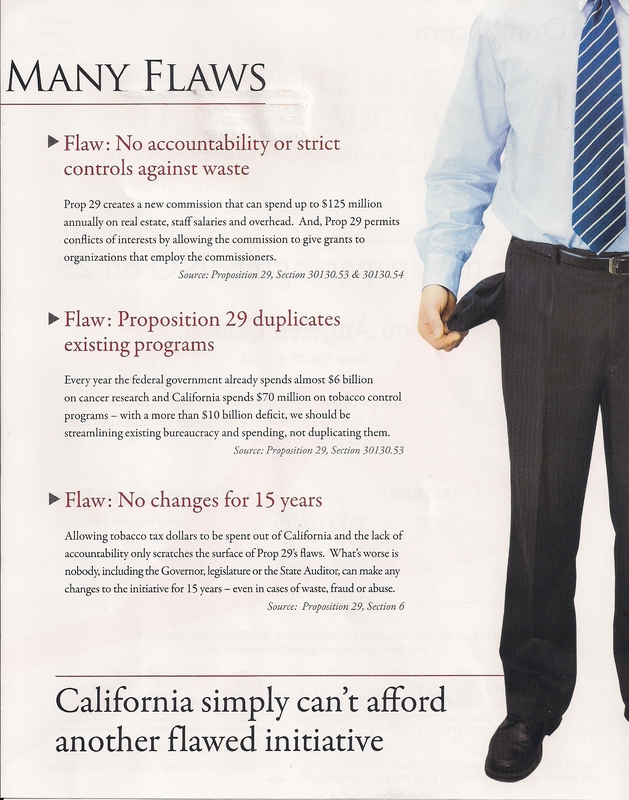 As I have stated before I am just not a fan of the plain style of the mailer, but the messaging is excellent. 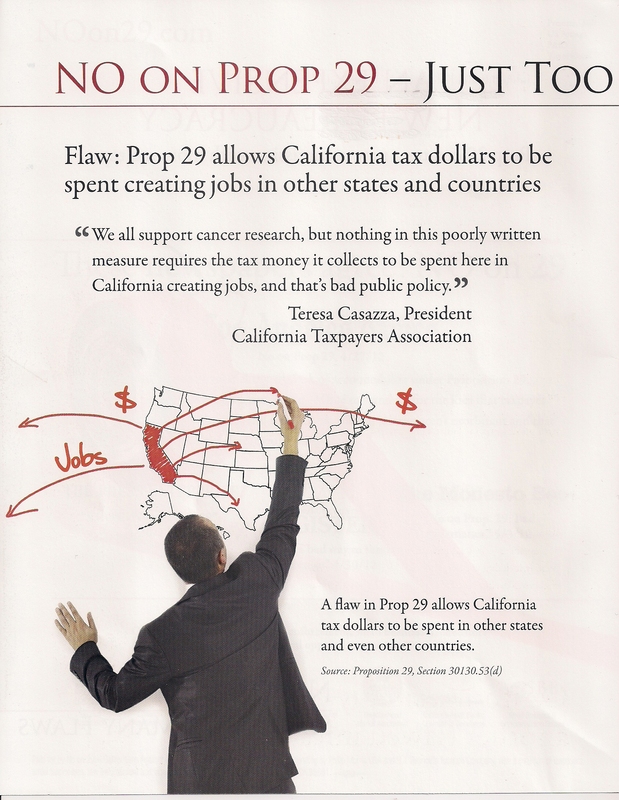 It is always a tough task to convince voters that raising taxes on cigarettes is not a good idea, and I don’t know that all of this mail will be enough to get the job done. This entry was posted on May 24, 2012 at 1:12 PM	and is filed under California, Mail. You can follow any responses to this entry through the RSS 2.0 feed. You can leave a response, or trackback from your own site. 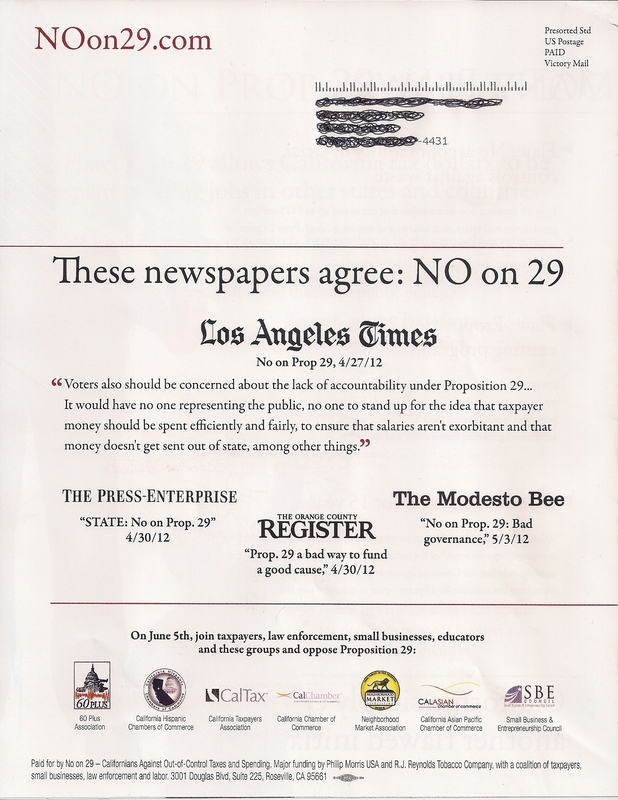 The “No on 29 folks”? You mean the tobacco companies?